OSLO, NORWAY - Zalaris Germany has been a successful IT service partner in the SAP environment for many years, especially in the public sector. In December 2018, the Information Technology Center Bund - the central IT service provider of the German Federal Administration - once again awarded Zalaris Germany a 4-year framework agreement. “We are happy and proud to continue serving the German Federal Administration. This is an example on our solid presence in Germany, which keeps on growing,” says Hans-Petter Mellerud, Zalaris’ founder and CEO. Zalaris will provide external support services in the area of SAP-HCM personnel administration and accounting. Together with the ITZBund Zalaris will continue to ensure the billing of the approximately 300,000 employees, civil servants and pension recipients in the federal administration. Zalaris’ mission is to help our clients maximize the value of their human capital through excellence in HR processes. Our outsourced payroll, HR and consulting services are delivered from local language service centers. Our geographic coverage currently includes Denmark, Finland, Norway, Sweden, Latvia, Lithuania, Estonia, Poland, Germany, Austria, Switzerland, UK, Ireland, Thailand and India. Zalaris’ services utilize web and mobile based cloud solutions powered by SAP and SuccessFactors. We are a certified SAP Business Process Outsourcing (BPO) Partner. Zalaris is listed on the Oslo Stock exchange as ZAL. For more information visit our website at www.zalaris.com. ITZBund supports the business areas of the Federal Ministry of Finance (BMF), the Federal Ministry of the Interior (BMI), the Federal Ministry of Transport and Digital Infrastructure (BMVI) and the entire federal administration with a wide range of services. With its comprehensive range of services, the ITZBund positions itself as a shared service center for IT services within the public sector. As an IT service provider, the ITZBund maintains an SAP-certified SAP Competence Center (SAP CCoE) at its locations in Berlin, Bonn, Ilmenau and Frankfurt am Main. As part of its services, it operates and supports various SAP systems and system landscapes. 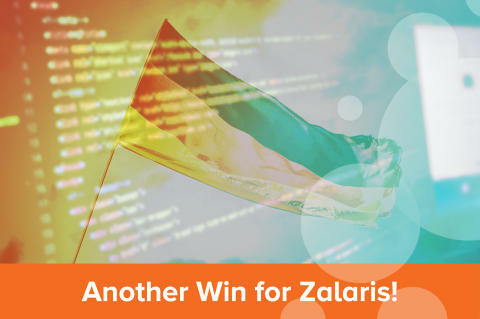 Zalaris is certified as a SAP Business Process Outsourcing (BPO) Partner and is a leading SAP Human Capital Management (HCM) and SuccessFactors consulting partner. Founded in 2000, Zalaris today operates in Denmark, Estonia, Finland, India, Latvia, Lithuania, Norway, Poland and Sweden, including local-language service centers with extensive expertise in HR-related laws and regulations. Prior to publication, it must be approved by Zalaris ASA. Zalaris UK, part of the Zalaris ASA group, has signed an agreement with University of Salford for the renewal of SAP SuccessFactors’ cloud-based talent management solutions. Zalaris and Bø have signed a letter of intent of which the parties intend to enter into a pilot agreement where Zalaris will provide payroll and other transactional HR services to Bø`s approx 300 employees. This is the first municipality Zalaris will deliver services to. As 2019 kicks off international analysts and investors follow Zalaris closely. Latest in Human Capital Insights for January 2019 published by the international investment bank Raymond James.